This week has been extremely productive in this author’s world, just not quite in the way I meant. I have several hobbies that I pursue passionately. Writing of dark, urban fantasy and all things that go bump or bite in the night is obviously one. I love it, but not my only love. This week I have had to focus on another pursuit just as dear to my heart. Recently I have gotten back into martial arts, Korean styles. And by me, I mean I have, my writer-husband, JP Sloan, and my son has been in it for a while. My husband and I have had to play catch up and have been under scrutiny to determine where we fall in our abilities. 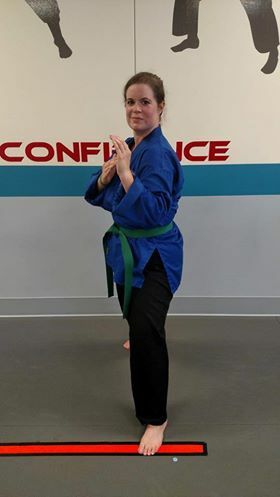 This week we earned our green belts. We couldn’t be more excited. Piggybacking on this, we decided we needed a more dedicated practice space. So all of last weekend was dedicated to organizing and redoing our basement to create a dojo space just for us. As a good New Orleans girl, basements still freak me out. I expect the water to rush in at any moment. But I after 10 years, I have to admit the extra space is really nice. It was a lot of work, but so, so worth it. No we have everything that the basement held before in one area up on shelving. 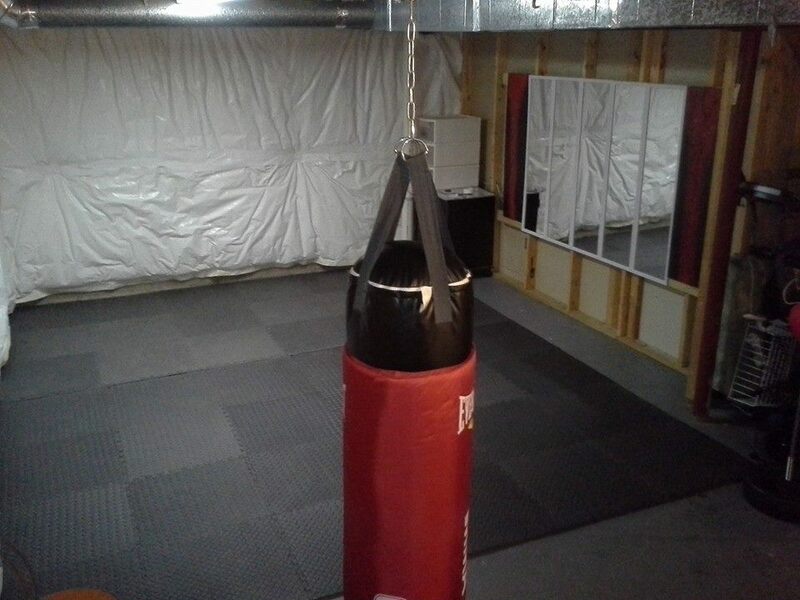 On the other, larger end, we have a full dojo complete with mats, mirrors, artwork and an amazing heavy bag we get to hit around whenever we want. So without further ado, the fruits of my labor. Lastly, yes, I did some writing as well. I wrote just over 10k words this week. That is one the low end of my weekly goal, but I hope to do better this coming week when I can dedicate more time to writing. And for those of you who has been bugging me to have Rowan in a relationship, there may or may not have been a first kiss. You’ll just have to wait for book two to find out with whom. In geeky gaming terms, my writing did gain a new feat this week. My husband reads some of my work when I torture him with it, I mean, ask him to. Now, you have to know something about my husband. He does not feel or show emotion for anything. Everything that makes everyone on the face of this planet have feels, he simply goes “eh”. I have teased him about this for over eleven years. Last night I gave him just a couple of paragraphs to read. The feels nearly killed him. This accomplishment I feel needs to go down in the chronicles of my writing. I’m not sure it will ever happen again. So, there was my week. For next week I want to up my word count to at least 15k. I also want to fill out the author interviews I have been asked to do and schedule my author photos. I hate all photos, and I’m scared of these most of all, but they have to be done. So that’s my plan. Now, go check out my fellow writers’ updates as well. The list of those on this Writing Wednesdays Blog Hop are below. This entry was posted on Wednesday, August 26th, 2015 at 12:01 am	and tagged with Blog Hop, Writing Wednesdays and posted in Authors, Dark, medium, New Adult, Of Scions and Men, shifter, Urban Fantasy, vampire, Writing Wednesdays. You can follow any responses to this entry through the RSS 2.0 feed. I’m a haptic learner so if my feet are moving, so is my mind. So yes. creativity is enhanced by exercise. Totally understand that. I know what you mean about “other loves.” I love running and right now, for several reasons, it’s more important to me than writing.